Breakout Stake, (symbol BRX) has been around since June 11th, 2016 and operates free of any monetary authorities. The crypto currency is not mineable and utlizes the proof of work and proof of stake (pow/pos) consensus. To get BRX, you can go from an exchange service. Breakout Stake can be found online, on social media like Facebook and Reddit. We don't have any wallets listed for Breakout Stake yet, check back soon! 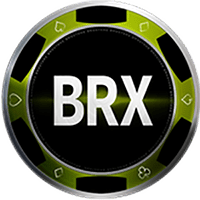 We don't have any debit cards listed for Breakout Stake (BRX) yet, check back soon! We don't have any price charts listed for Breakout Stake yet, check back soon!